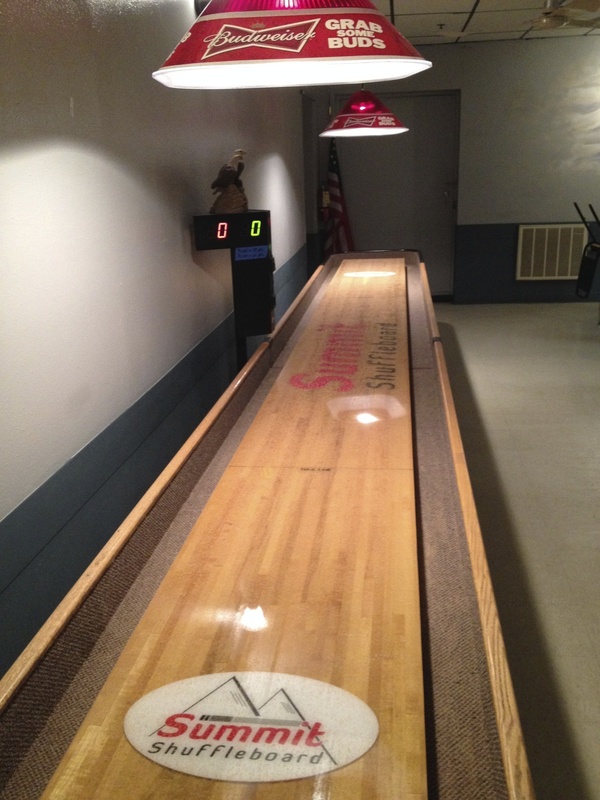 We specialize in providing superior playing, high-end shuffleboard tables for annual lease in your place of business. Our tables come with coin-operated scoreboards and will receive expert attention in keeping them playing great throughout the year. 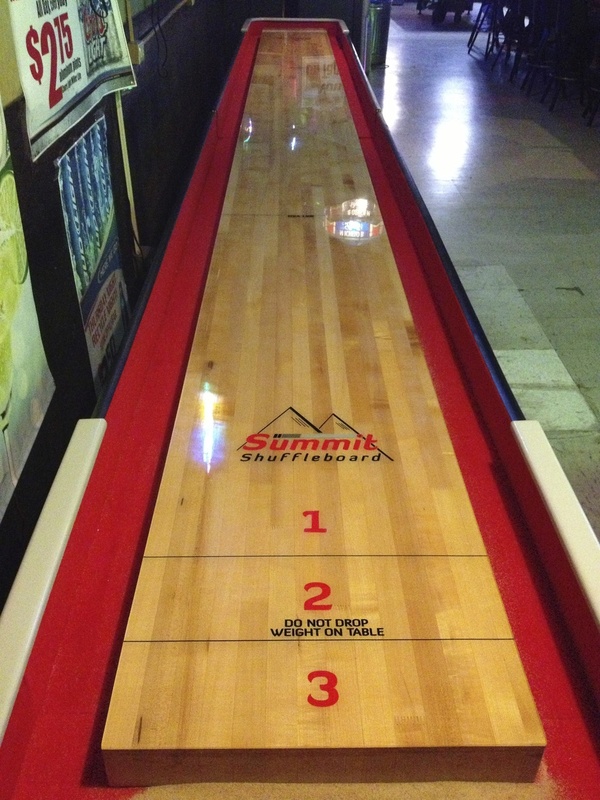 Having a Summit Shuffleboard table in your establishment gets you in on the action of having in-house or local leagues. 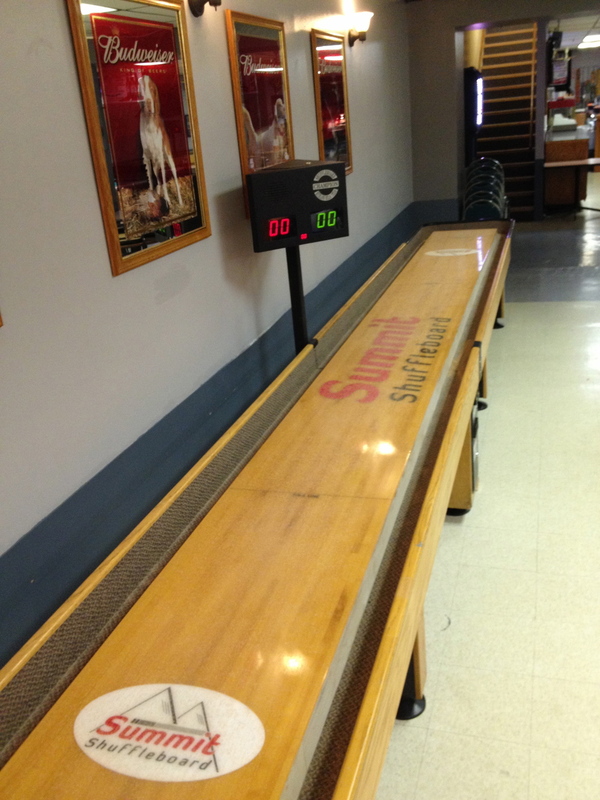 Shuffleboard league nights will bring 8-12 players per table into your place for an average of 3-5 hours a night. Sound good? You can easily double your weekly league night crowd by adding another Summit table. Most regional leagues will run for about 20 weeks through the winter. Do the math, you can't go wrong. Concerned about getting started? We will gladly help you organize (scheduling, rules, league tournaments, ideas, etc.) and assist you in running your new or existing league. Ever have a slow Saturday afternoon? 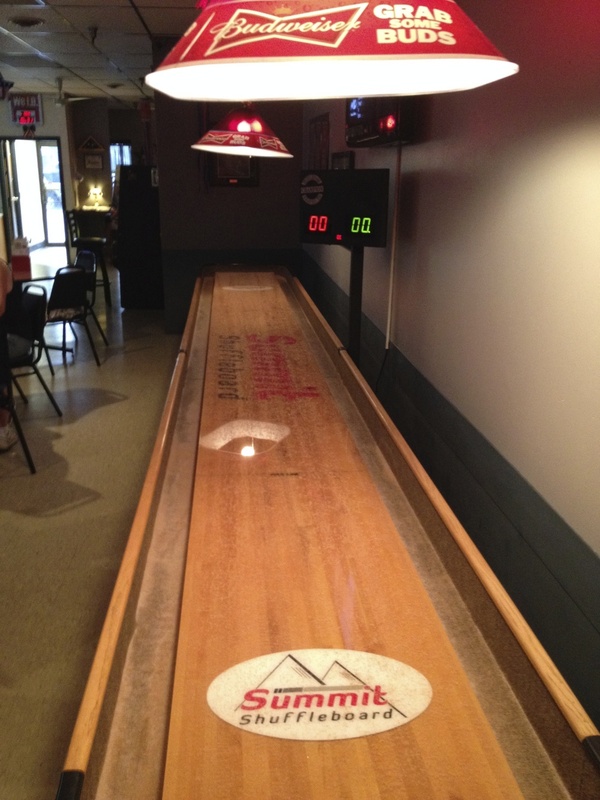 Why not have a shuffleboard tournament and have 8-30 players plus additional friends join you in your place of business? Shuffleboard tournaments are easy to throw and different event formats such as A/B Draws, Bring Partner Doubles, Singles, A/B/C Draws, 4 or 6 person Draft Teams all keep players excited about playing your event by offering different ways to make new friends and meet new challenges. It's no secret, your town's best tables get the most play. Keep your patrons happy and playing more frequently, by selecting Summit to provide your business with one of our industry-elite rental tables. We are not involved with any other coin-op gaming (pool, darts, foosball, etc. ), we are strictly shuffleboard specialists. The activity in our market reveals that our tables get more games played on them than any other provider. Taught by one of the best board makers in the country, our rental tables are either brand new or refurbished using the finest playfield finishing techniques in the industry. Our tables play consistent, hold their shape, and do not end up being slow, squirrely, or rail-dumping buffet tables like we have all encountered out in the wild. 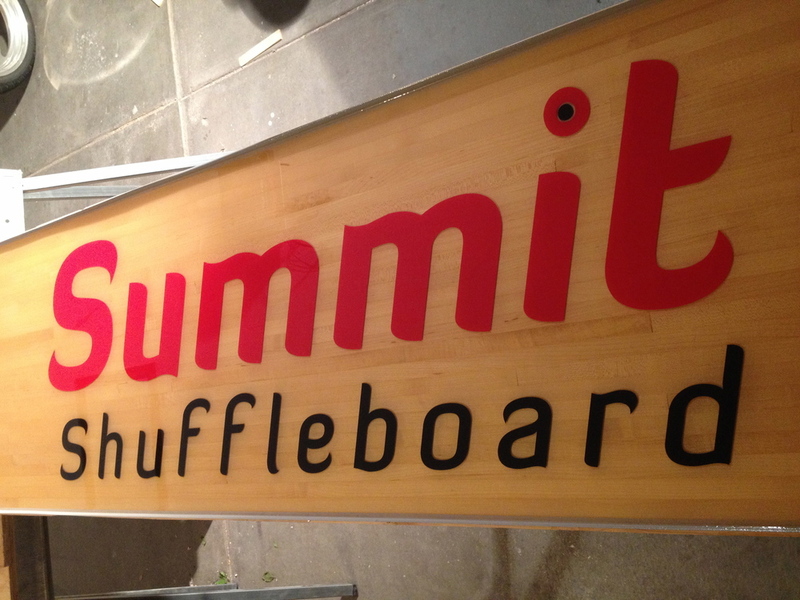 Try playing on one of our boards, you'll immediately notice the Summit difference and won't accept anything less. Your business deserves a Summit.